Truly unique! We started with a special amber style beer to complement the beautiful glow of great whiskey and then racked our special brew - which is made with 2-row malt, Munich, and Caramel Malts with Noble & Mt. Hood hops - into freshly decanted Evan Williams bourbon barrels where it lagers until ready. The outcome is a perfect "sipping beer" with a wonderful flavor, aroma and whopping 12% alcohol content! This beer is made in very small batches, under carefully supervised conditions. 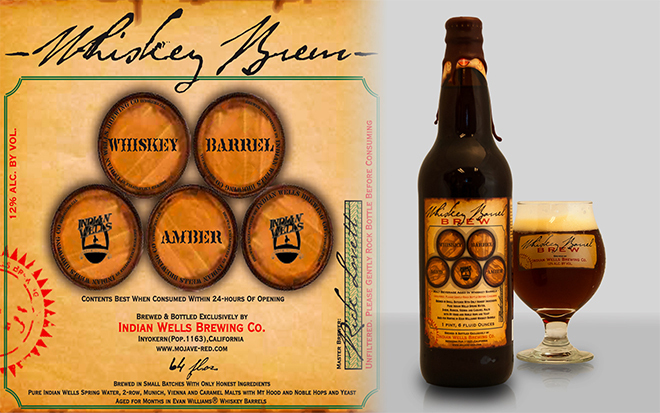 We're certain every beer drinker will love our very special limited quantity "Whiskey Barrel Amber"!